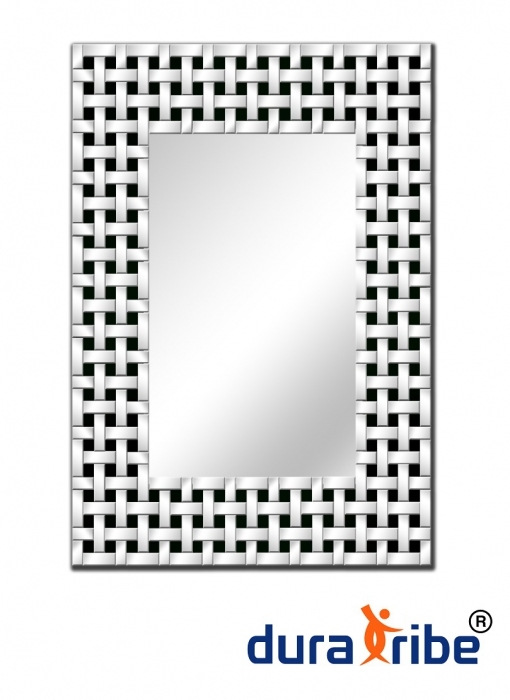 Spencer wall mirror with bevelled glass is beautifully hand crafted with utmost detail. Rare design as not many such wall mirrors available to hang. Its unique and simple design will bring life to any wall. Its crafted with uniquely designed smaller bevelled black and clear mirrors all around a big mirror in the middle.